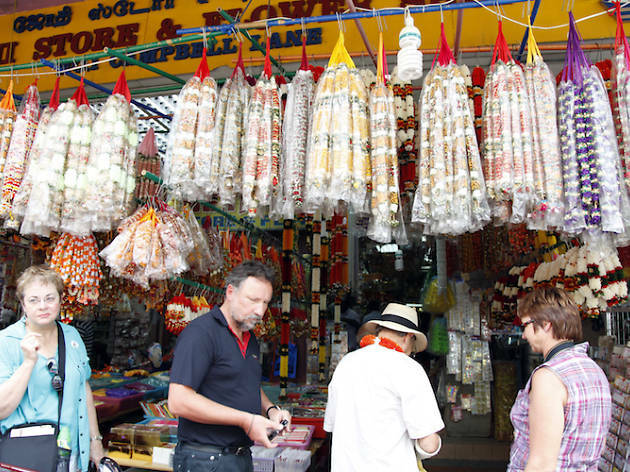 It’s a given that Little India is colourful, vibrant and a hive of activity – but it’s also changing and gentrifying. There’s never a dull moment on this stretch, here are some of our favourite spots. 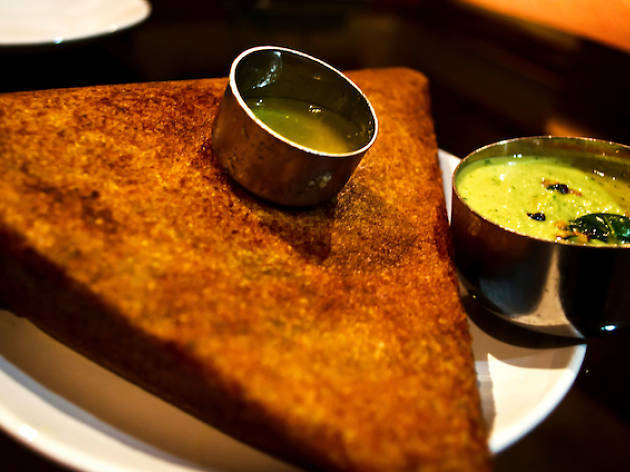 Serving up Indian comfort food since 1924, this South Indian chain restaurant from Bangalore knows a thing knows a thing or two about what goes into a good Indian vegetarian meal. 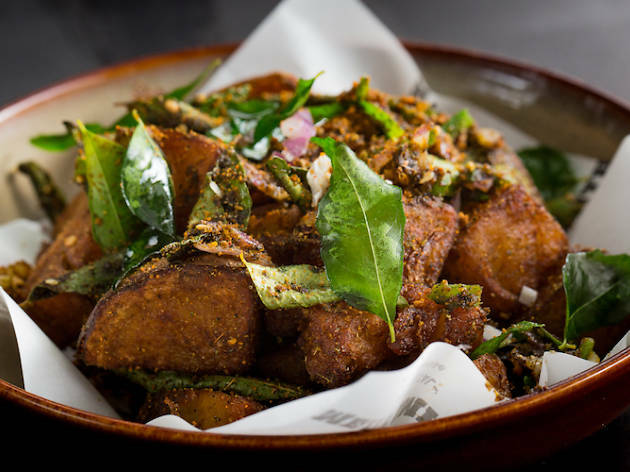 While die-hard loyalists swear they serve the best idlis (semolina cakes) in Singapore – the soft, steamed rava idli ($4) is a popular order – the masala thosai ($6) stuffed with spiced potatoes is one of the best we’ve tried. Also, the house speciality: the deep fried Chandrahara dessert ($4) made with maida flour drizzled with khoa (a type of milk food) is as delicious as it sounds. While we swear by Tai Cheong for its egg tarts, L.E. 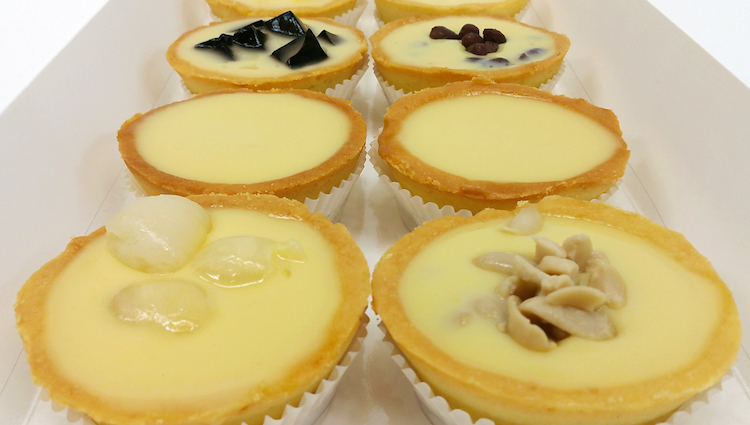 Cafe Confectionary & Pastry's silky smooth bean curd ($10 for 8) tarts with a buttery shortbread-like crust and light almond scent has our lifelong allegiance. They’re so popular you’ll need to reserve them a day in advance (sometimes more), plus they’re only available after 1pm daily. 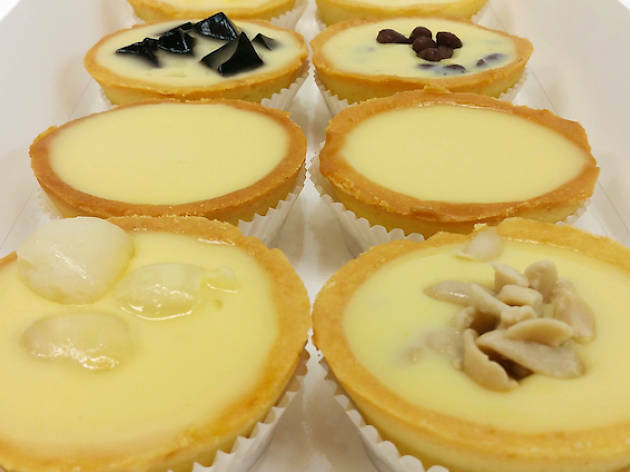 For variety, order the mixed bean curd tarts that come with add-ins like red bean, grass jelly, and longan, or the blueberry cream cheese tart and durian bean curd tart for non-traditional flavours. It’s hard not to get excited by the thought of a good biryani, let alone a biryani stuffed suckling pig ($48). 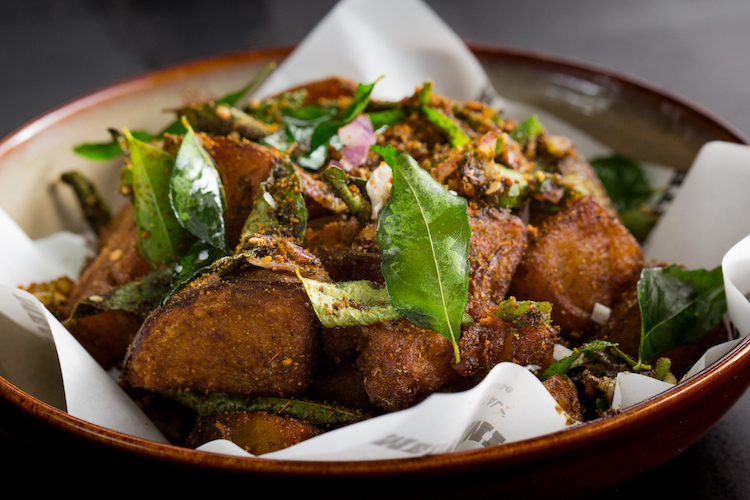 Served at Meatsmith Little India where the menu is all about barbecue-style dishes but with an Indian twist – seriously, why hasn’t someone else thought of this earlier? Aside from the show-stealing suckling pig biryani, there’s also pork ribs with a coconut chutney ($26), potatoes dusted with a spicy gunpowder seasoning ($6), tandoori chicken ($18) cooked low and slow; all cooked in a tandoor oven, spit roaster or smoker, so the food is next level delicious and juicy. 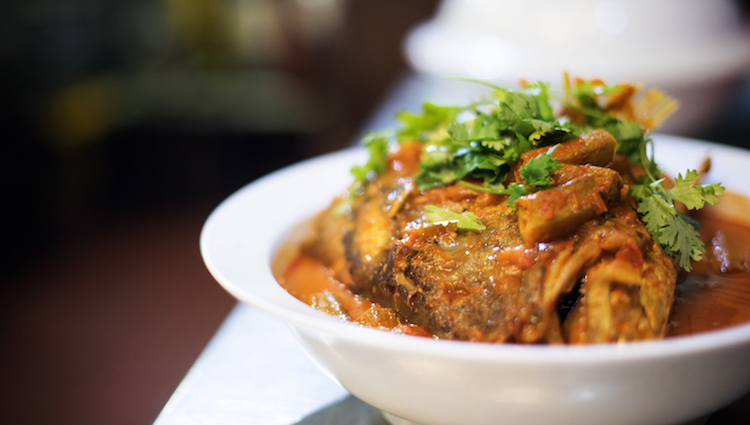 There are many different types of fish head curry but one we’re always been biased towards is the version served at Banana Leaf Apolo. 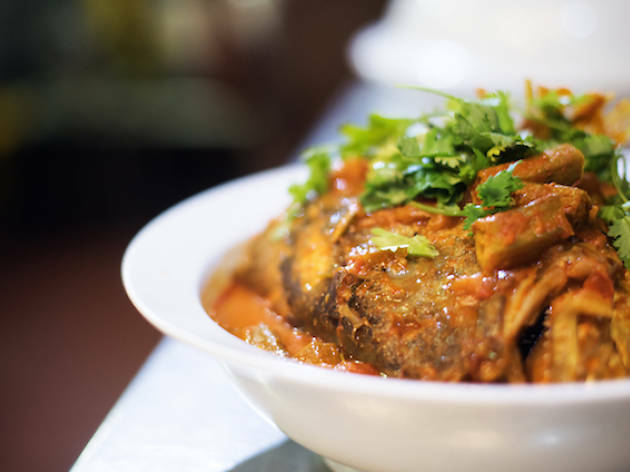 A cross between an Indian and Chinese style fish head curry, the tangy curry gravy with its mix of fennel, cumin, turmeric and other spices is never overpowering and always cooked just right so the fish flesh remains firm to the bite. While they’re available on Food Panda, something about dining in-house just makes the food taste better. Halal Thai food may not be too hard to come by, but it is if you’re looking for a romantic date night setting. Enter Blue Jasmine, located on the fifth floor of the Park Hotel Farrer Park with its spacious alfresco dining area (there is an indoor dining area as well) with a view of Singapore’s skyline. With a menu reflecting southern Thai and Esarn cuisine, dishes here are given a contemporary treatment – Chiangmai style larb chicken balls ($12), crabmeat yellow curry served with blue-tinged vermicelli ($26), sticky mango rice ($14) served with a coconut custard – plus they’re not opposed to hosting the odd themed event. What’s a weekend without some #OOTDs? 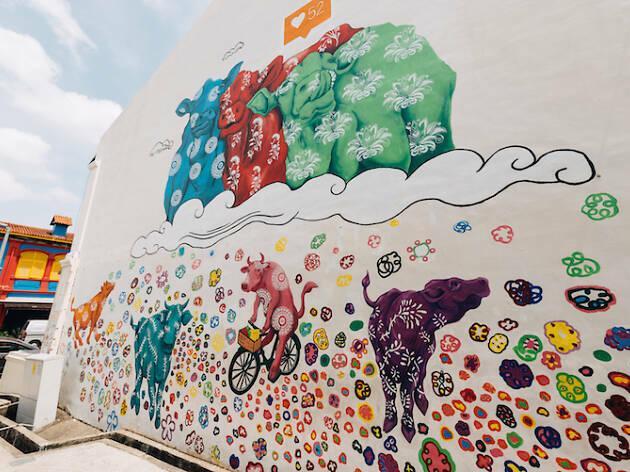 Track down the six murals found on Clive Street, Upper Dickson Road, Kerbau Road, Hindoo Road and Dunlop Street. 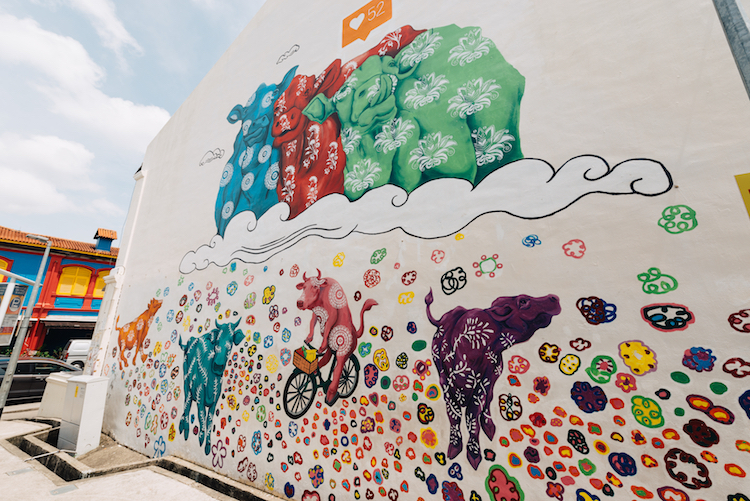 A collaboration between LASALLE College of the Arts, Singapore Tourism Board and the Little India Shopkeepers and Heritage Association, the street art depict everything from the changing landscape of Little India, to a traditional dancer by street artist Traseone, and a collaborative work of buffalos amongst colourful flowers and patterns. 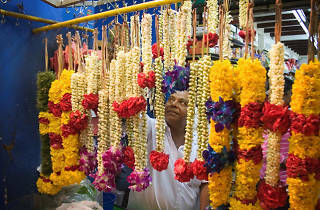 Here's where you can pick up a fragrant garland. 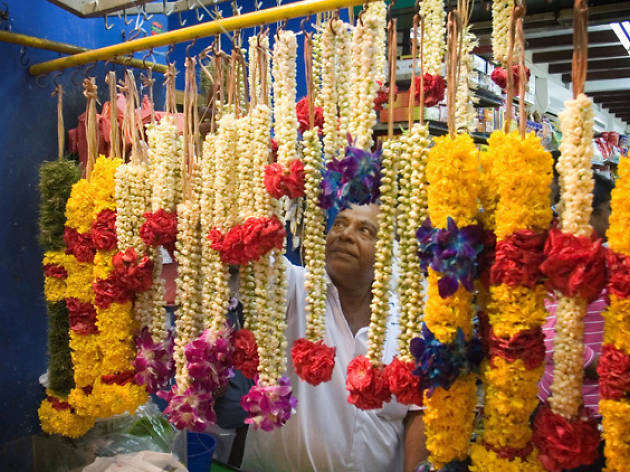 But if flowers aren’t your thing, they retail everything from coloured rice used for kolam, pooja (offering items), copper goods, Indian cosmetics, and all manner of henna items. 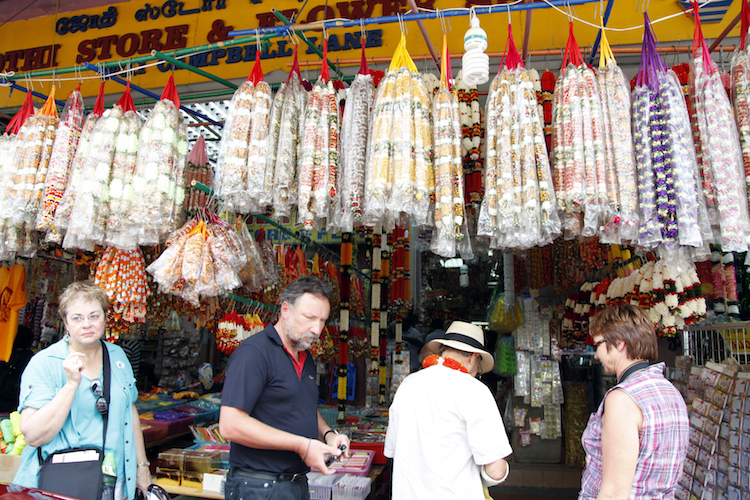 They’re also one of the few shops in Little India selling freshly made paan, the red coloured betel leaf liquid. 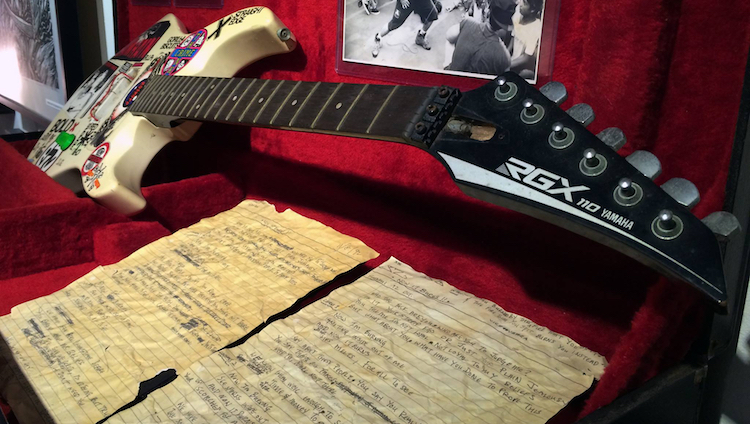 While Lush 99.5FM is no more, the love for local music continues to live on at the Museum of Independent Music ($5 per entry) where Tarmizee Taksen and Anvea Chieu have catalogued Singapore’s music scene in its entirety: vinyls from the ‘60s (The Quest) to cassette tapes made in the ‘90s (The Oddfellows), to more obscure genres like grindcore and screamo. 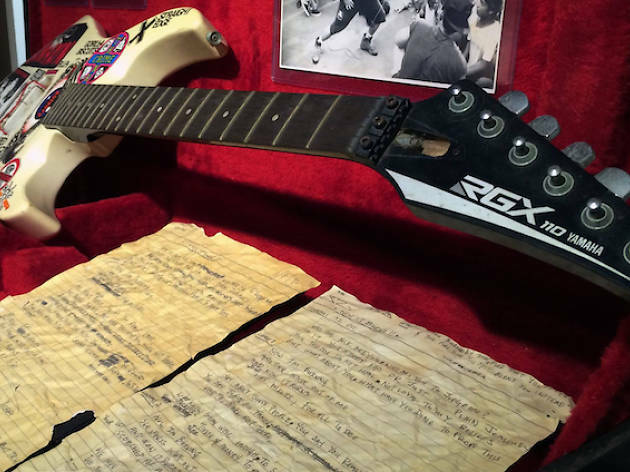 Aside from listening to the artists showcased, there’s also video documentaries and the odd piece of memorabilia like a Yamaha RGX 110 Electric Guitar belonging to the veteran guitarist Suhaimi Subandie of local band Stompin’ Ground. 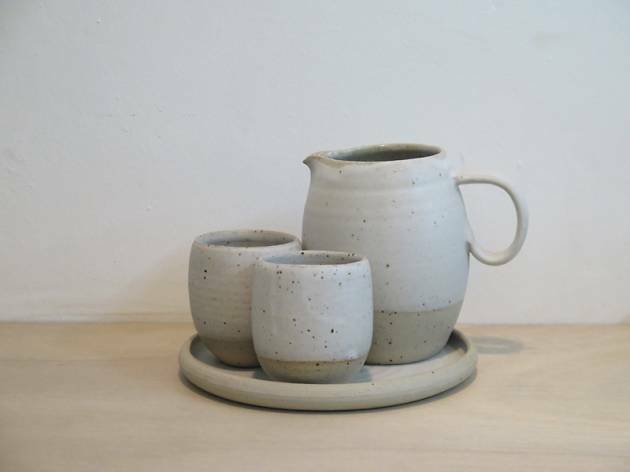 Blame it on the growing automation of our lives where hands are reduced to just typing and swiping, its no wonder maker crafts like pottery is growing in popularity. To get a feel for throwing pots, slab building and glazing, Mud Rock Ceramics – they do the plates for The Ottomani, Plentyfull and Le Binchotan – run weekly classes (Thur 7pm, Sat 11am and 2.30pm) at its Maude Road space. But if getting your hands dirty isn’t for you, then put in a custom order, or drop by and hope to purchase one of their creations. It’s hard to miss this four story building on Campbell Lane with its exterior inspired by the baoli (Indian stepwell). 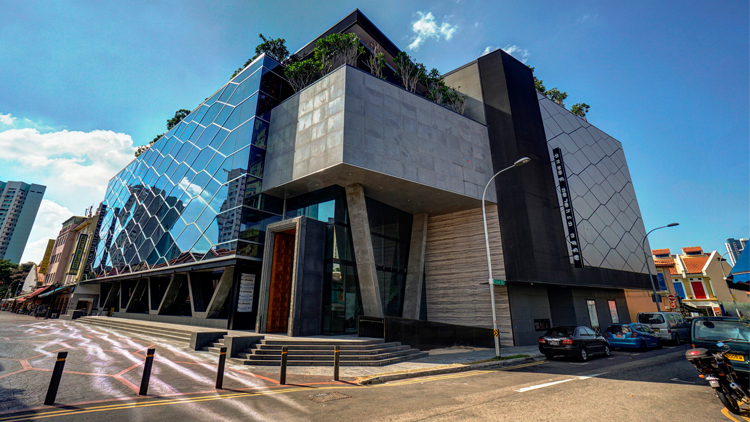 Inside the India Heritage Centre holds over 440 artefacts dating the rich history of the Indian and South Asian communities in South-East Asia. 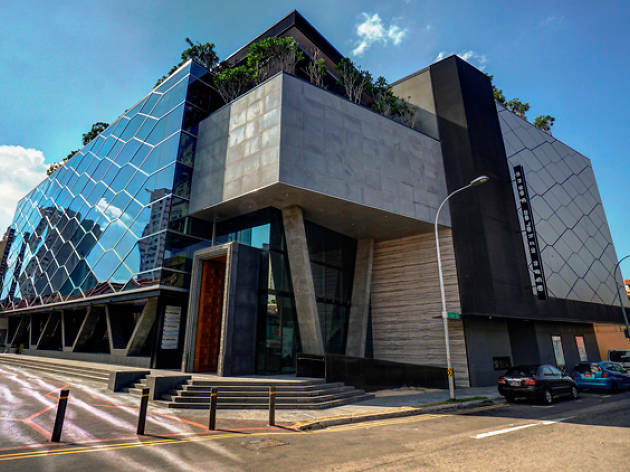 Artefacts include wartime publications donated by Singapore’s sixth president Mr SR Nathan, temple jewellery from the Saigon Chettiars’ Temple Trust and personal heirlooms by pioneering Singapore Indian families. Not to be missed as well is the spectacular 3.4m-tall wooden Chettinad doorway from the late 19th century that’s adorned with 5,000 intricate carvings.